Your first step toward success as a professional coach is to enroll in an ICF Accredited Holistic Coach Training Program (ACTP). This critical decision not only positions you in the profession, it ensures you serve your clients at the highest capacity. Reason #3: A career you will absolutely love. Imagine for a moment what it would feel like to place your passionate interests, purpose and personality at the forefront of everything you do. Be exactly who you are – no more hiding your greatest gifts and talents! As a professionally trained coach, you work becomes a joyful experience. Instead of hitting the proverbial snooze button, staring at the clock and feeling overlooked and undervalued in the workplace, you can truly align your passions, interests and greatest assets with the people who need you most. 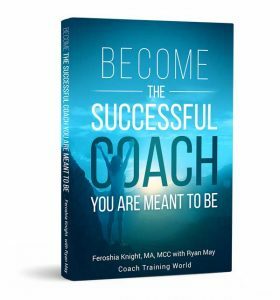 You become a treasured resource as the go-to coach for your ideal clients! Imagine springing from bed in the morning with a fire in your soul to start the day! This reality can be yours, should you choose it. But for many of us the act of choosing to invest in ourselves and our future represents the hardest step. We discussed the importance of self-innovation in Part 1 of this series. Through coach training, you’ll learn the secrets to self-innovation. Because you are training to help others, you are also developing your own capacity to self-innovate. If you are an employee, you could become your own boss. You’ll learn to identify your unique gifts and talents and see how they can be combined with your experience to form a business all your own. If you an expert, entrepreneur, or untrained coach, you can increase both your impact and influence in the world as you develop yourself to achieve even higher levels of change mastery. If you prefer the corporate arena, your newly acquired skills will give you the leading edge to finally get recognized and affect change on the inside your way.Regardless of where you’re coming from or going to, you’ll become a go-to resource who is well-rewarded for your efforts, time and wisdom. Equally important, you’ll be recognized as a role model for others because of who you are and how you shine your light in the world. I would argue that many of these people, were struggling to find what they were truly looking for. In other words, they weren’t connecting with work that is meaningful, challenging and rewarding on multiple levels. Take Sara, for example. Sara was a 9-to-5 professional. She worked at an advertising agency where her true wisdom and innate gifts were going to waste. With more than a decade of experience invested in the company, she remained overlooked for her true assets. The most frustrating part of Sara’s situation was she recognized just how her wisdom and experience could be put to work for others. But her role in the company didn’t allow her to develop others and make the difference she desired. It wasn’t until she received a referral from a close friend to speak with a coach who specialized in her area that things began to shift. Inside this powerful relationship, Sara rediscovered a wide range of untapped talents and passionate interests she had long forgotten.But that wasn’t all. Sara broke through her own fears and limiting beliefs. Working with her coach, Sara deepened her own self-understanding. She got to know herself intimately in ways she hadn’t considered before. 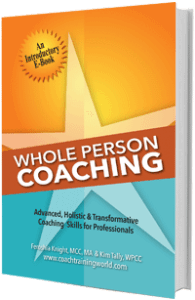 Through the coaching process, Sara recognized her soul’s work lived elsewhere. So she took what felt like the biggest risk of her life. She initiated a career change not knowing exactly what it would all look like in the end. She trusted herself just enough to let go of what was no longer serving her in her career and her life. Today Sara’s only regret is that she didn’t act sooner. But in hindsight, the time it took was necessary. She developed the compassion and awareness she needed to shepherd others to move beyond their fears and stumbling blocks by first navigating her own. I have “reinvented” my business five times, letting go of that which no longer served me (or my clients). No one benefits from being around someone who isn’t happy and authentically aligned with their passions and purpose. That being said, each time I broke out into a new direction, I could feel the anxiety and fear around starting over as they began to creep up. Yet no one really ever starts over. This is especially true when you become a coach. In fact, that’s what I love most about coaching. You bring the sum of your experience, knowledge, skills, passions and much more into your work. You leverage your whole self into work you absolutely love. You create your own work, job title and description that are every bit as unique as you. Think you’re too old to change your career? keep in mind the oldest student to enroll in Coach Training World’s Whole Person Certified Coach training program was 70-years young when she began her training. Regardless of where you’re at in your career or business lifespan, don’t be afraid to take a step back and do some soul-searching. It’s never too late to make your life the best one ever and step into work you can’t wait to do! Are you ready for change? Is it time to step into work you’ll love? Keep a journal close to your bed. When you wake in the morning after a day or two off, write down the first thoughts that go through your head when you think about the day to come. Are they about work? Are they positive or negative? Are your thoughts optimistic or pessimistic? Are your thoughts geared toward something you’re anticipating or something you’d rather avoid? List three to five things you would change about your position at work, business or career in general if no one could say no and money wasn’t an object. Looking back at your list, are any of the things you’ve listed unique to you? Do they leverage specific skills or expertise you’ve gathered over the years? 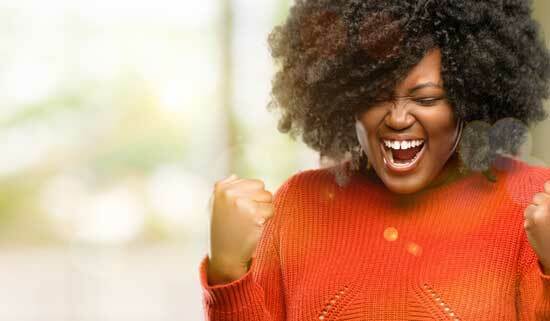 Identifying these key passions is the first step in pursuing a life and career you will love. Continue to Part 4 of this 5 part blog series.